In stock now. Minimum order of 10 cross back bar chairs. If you are interested in purchasing a sample, please call our customer service team at 1-800-827-8953. Constructed of elm wood, the National Event Supply Wood Cross Back Bar Chairs are a fantastic addition to your rental inventory or restaurant. 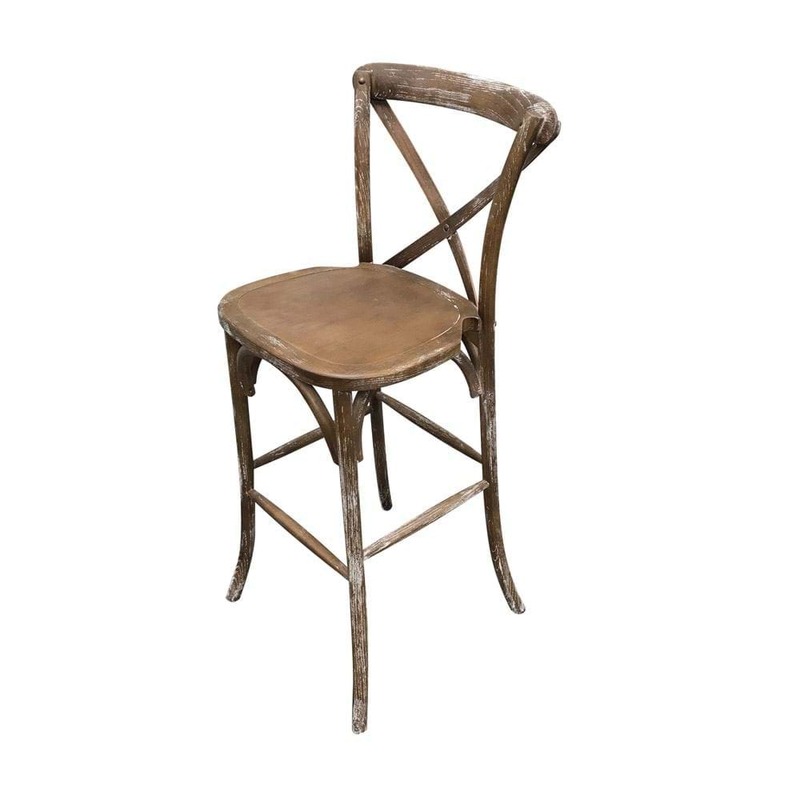 Available for purchase with or without a cushion depending on the look you desire, these Wood cross back bar chairs are the perfect accent to a variety of event themes. Because of their design, they hug the back of a person’s body making for a comfortable seating experience. All of our wood crossback bar chairs come with a protective foam covering (see last picture for reference). 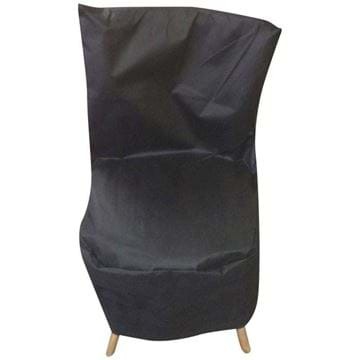 Once you receive the chairs, the foam strips need to be removed in order to use the product. Please factor this into your plans prior to usage.